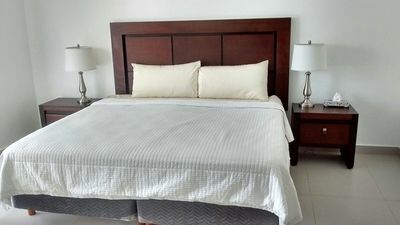 We are proud to introduce gorgeous Casa Cozy luxury 3-bedroom Penthouse overlooking all of Banderas Bay and beyond, located right on the beach in the center of Puerto Vallarta's most famous gay beach 'Playa los Muertos' in the midst of all the fun, with incomparable views and sunsets. 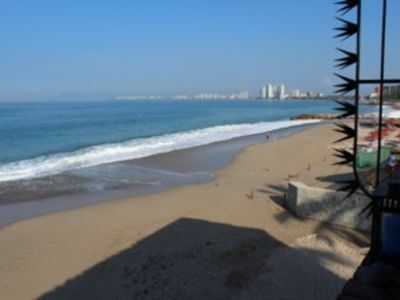 This is a top location with walking distance to everything Puerto Vallarta has to offer. 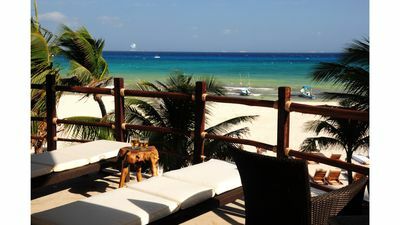 Right next-door are the well-known and very popular beachfront bars and restaurants Blue Chairs and Green chairs. 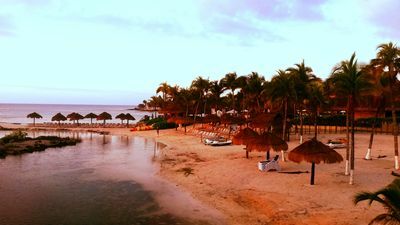 Its magnificent location on the Banderas Bay on the Mexican Riviera makes it a true jewel and a dream destination! 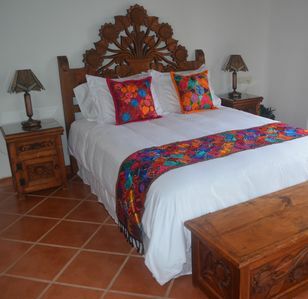 Casa Cozy, a 3,000 square foot, spacious 3 bedrooms, 3.5 baths beautifully furnished Penthouse sits atop the One Beach Street building on Puerto Vallarta’s Southside. 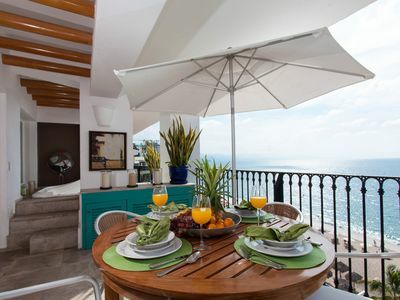 Marvel at the fantastic ocean views overlooking all of Banderas Bay as far as the eye can see, with the Marieta Islands in the center and make yourself feel at home in this breathtaking Puerto Vallarta Penthouse. 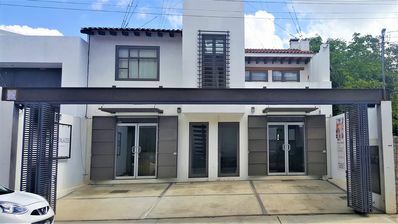 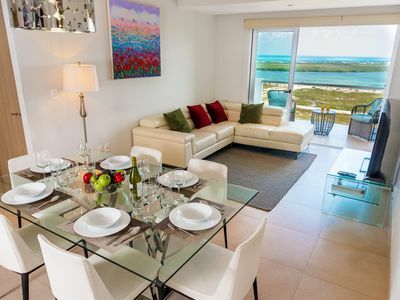 The clever open floor plan with skylights makes this Penthouse very open and airy and connects the gorgeous living room and the spacious kitchen with the elegant dining room, opening out towards the wonderful large terrace for unforgettable sunset dinners. 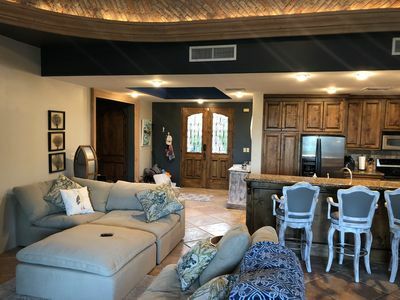 This Penthouse is air-conditioned throughout, has private wifi, cable and phone, marble flooring and soft area rugs and is fully custom furnished with lots of closet space. 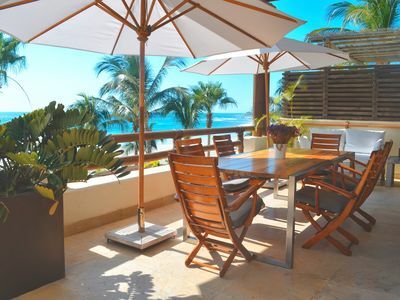 A lot of time will most likely be spent enjoying the vast Terrace with its breathtaking views, whether enjoying an early breakfast or a late night cocktail. 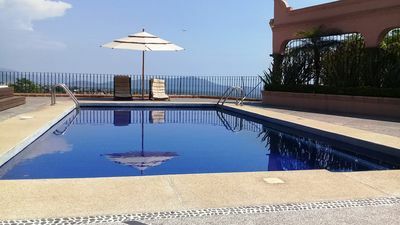 The terrace has comfortable chairs for reading or relaxing aside the table with chairs and an umbrella for shade if desired, or have a dip in the large Jacuzzi nestled on the Terrace for soothing de-stressing bubble baths to unwind from the day’s activities or for romantic moments. 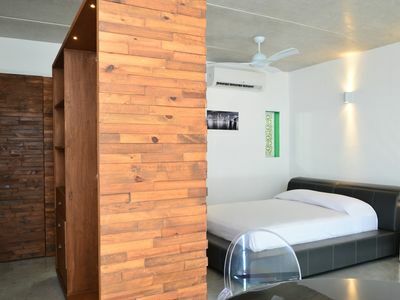 The building has a vast common area with a pool and there is also a gym. 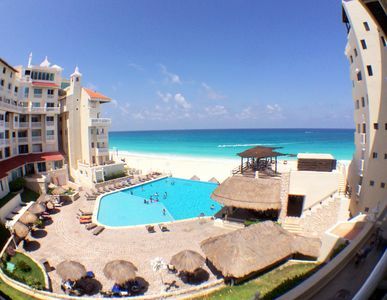 24 hour security with a beach entrance for all guests, easily accessible with taxi. 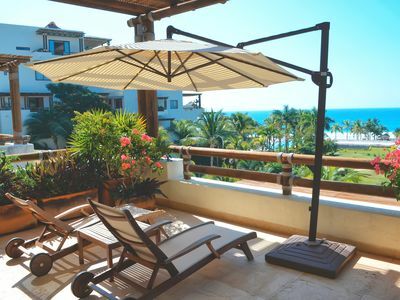 Puerto Vallarta's incredible natural beauty combined with the small town atmosphere and the warmth and friendliness of the people makes Puerto Vallarta a very special place. 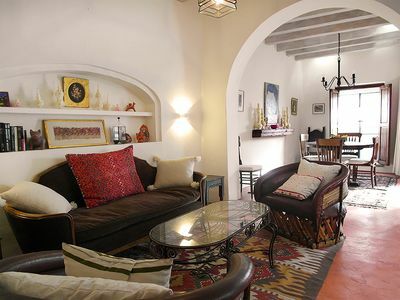 The old and the new are blended in Puerto Vallarta, and offers all from simple pleasures to sophisticated charms. 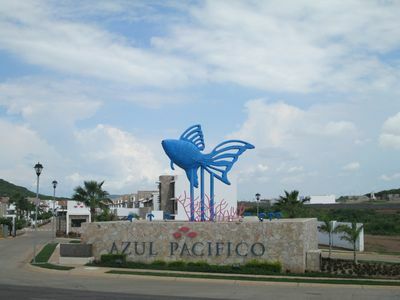 Here one can find anything from Taco stands to exclusive restaurants, quaint art galleries, air conditioned shopping centers with movie theaters, café's, beach vendors selling Mexican handicrafts, traditional open air markets, walking Mariachi bands on the beach and an incredible variety of activities such as whale watching, boat dinner cruises, Botanical garden, swimming with dolphins, zip lines, tours to near villages, fishing, snorkeling and an array of sight-seeing tours. 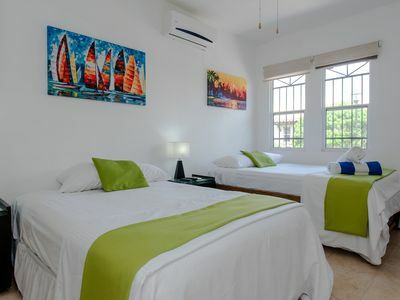 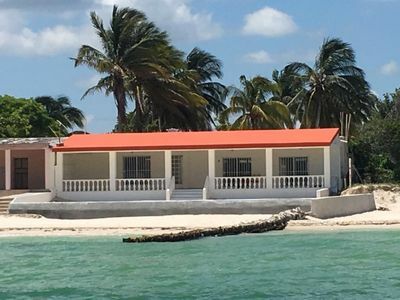 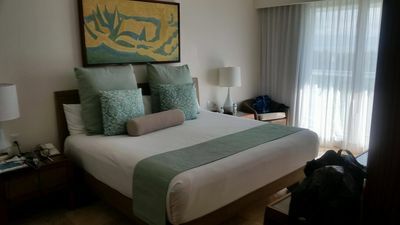 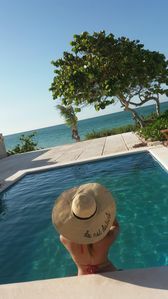 If you are looking for a Puerto Vallarta vacation to remember that will leave nothing to be desired, then look no further than Casa Cozy, which might be your return destination for years to come! 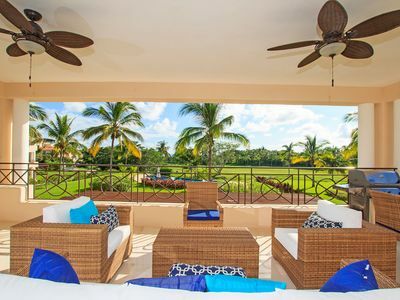 Elegant condo in Punta de Mita , private pool, common pool, beach front unit!